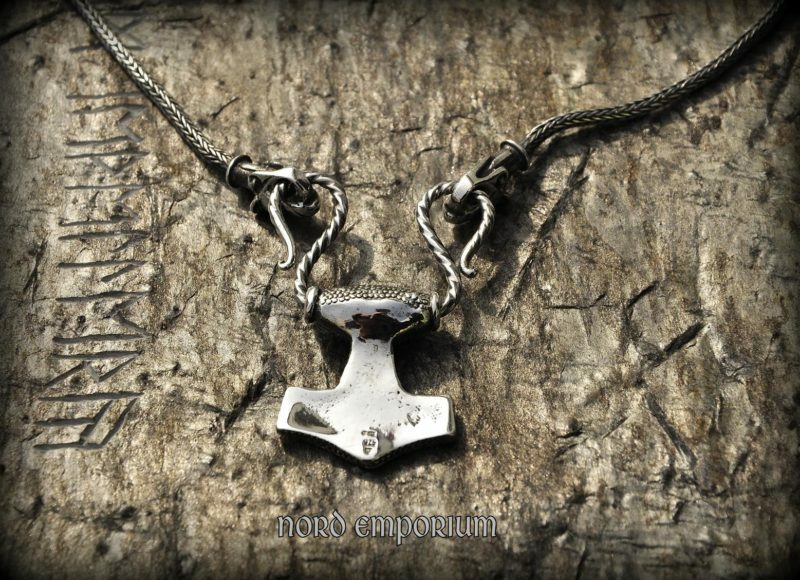 Thor’s hammer from this necklace is my interpretation of famous find from Skane, Kabara, Sweden. 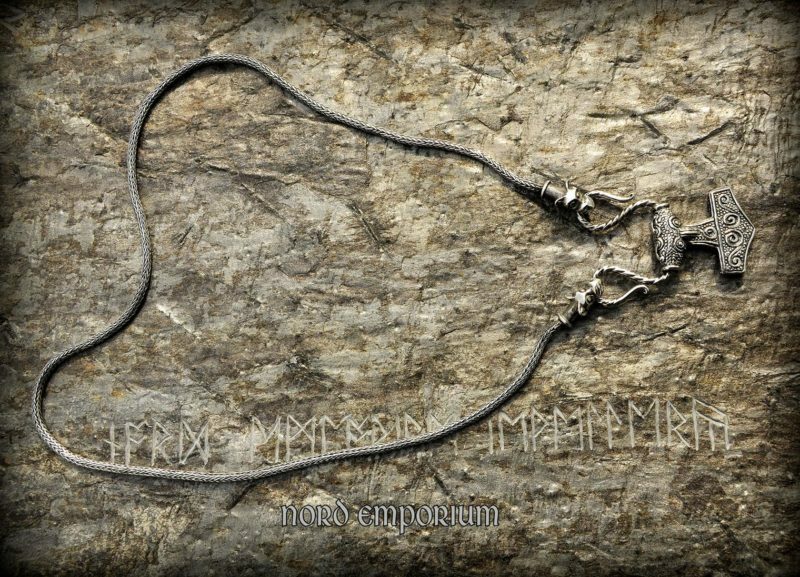 Wolves heads used to ends of chain originally was part of Icelandic wolf cross. 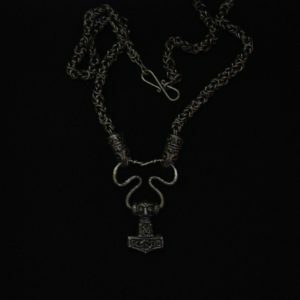 The chain was made by traditional method called Viking Knit or Trichinopoly Chain. 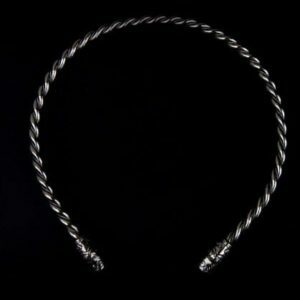 The necklace is made Solid Sterling Silver. 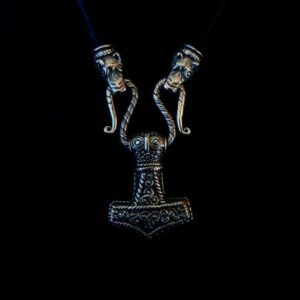 In the Norse mythology, Mjölnir is the hammer of Thor, a major Norse god associated with thunder. 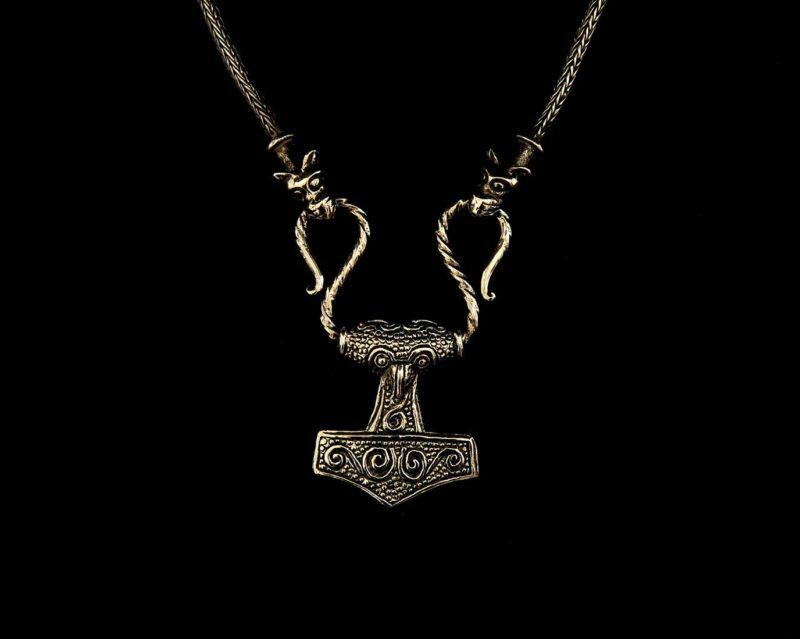 Mjölnir is depicted in Norse mythology as one of the most fearsome and powerful weapons in existence, capable of leveling mountains. 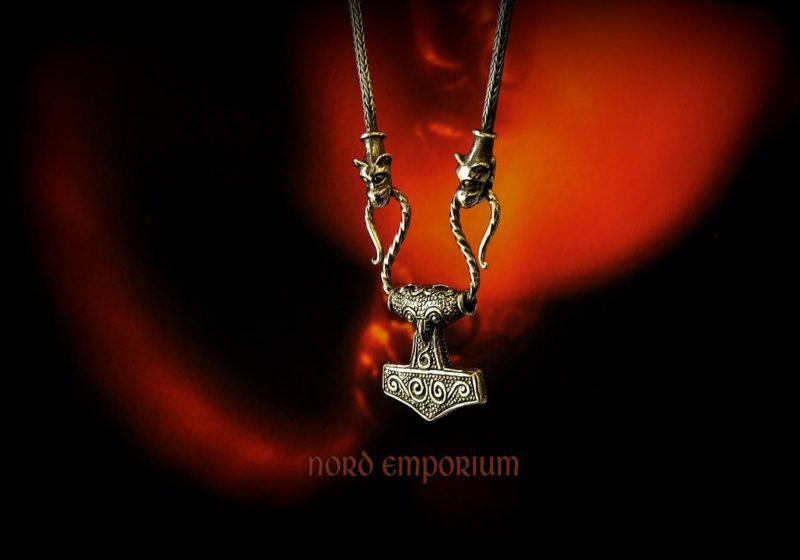 The hammer was made by the dwarven brothers Eitri and Brokkr. 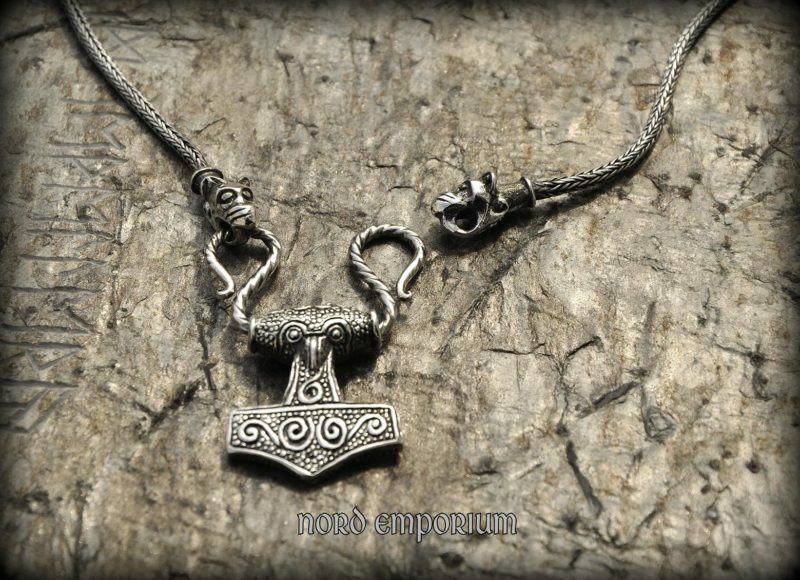 Thor’s hammer, or Mjolnir, is powerful Nordic protective amulet, a symbol of the creative powers of man. 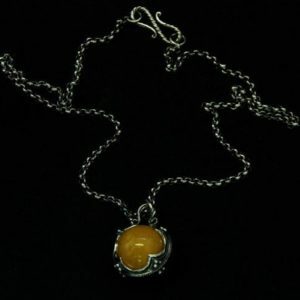 It is a really powerful protect from any negative energy. 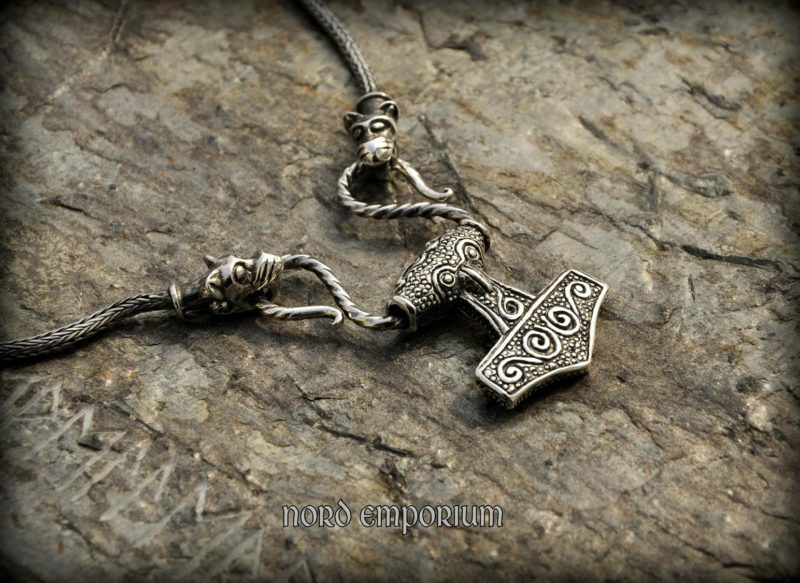 Protects from curses by neutralizing them. 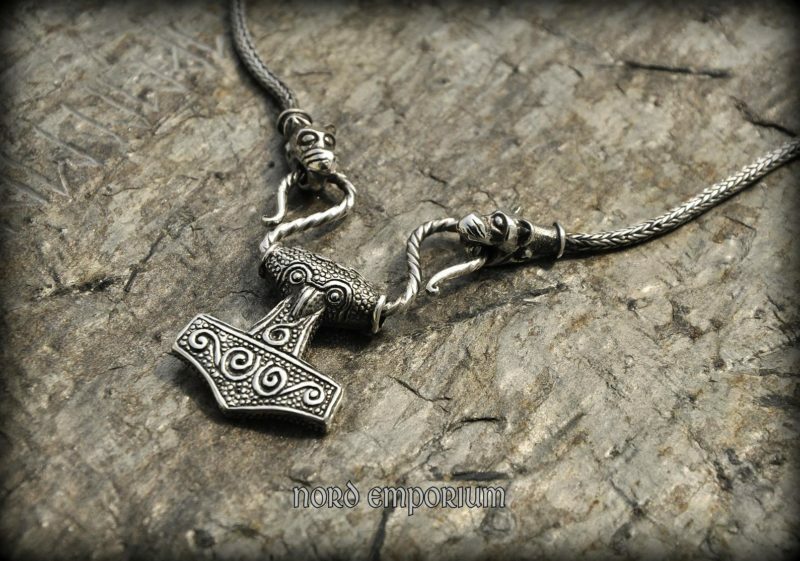 Thor’s hammer gives confidence in your own abilities.